BDAC is pleased to participate in both a panel and a works in progress sharing of 125th & FREEdom. Read more about the event below. Join an interdisciplinary group of artists, thinkers, activists, academics, and community leaders as they explore the role of culture in a changing America. Two main tracks feature keynote conversations, break-out sessions, and artist salons exploring the themes of “Art & Activism” and “Art & Identity”. This symposium is presented in collaboration with THE STUDIO MUSEUM IN HARLEM. Participants to be announced. For the last two years, BDAC has seen a significant up-tick in the amount of clients seeking EQUITY, ENGAGEMENT, and EVALUATION support. As you or your org. prepares for grant season and programmatic execution, it’s important to get clear about strategies that support an empowered and impactful approach to equity, engagement, and evaluation. Join Ebony Noelle Golden, CEO and Principal at BDAC for a frank conversation and Q&A. The webinar will take place via FACEBOOK LIVE. Visit and Like Betty's Daughter Arts Collaborative, LLC to get updates. Inspired by an anonymous position paper written by women who were members of the Student Non Violent Coordinating Committee, "wash'd//" is a performance ritual conceived, choreographed, and directed by Ebony Noelle Golden. The ritual illuminates the struggles women activists experienced within movements for civil rights and the rights of black people in the 1960s and the time of now. wash’d// has been developed in creative partnership with and performed by: Vesta Walker, Jaime Dzandu, and Audrey Hailes. The sound design/score was created by Petra Valoma. The world premier of wash’d// is supported Dance Your Future: Artist & Mentor Collaborative Residency project produced by Pepatian in partnership with BAAD!/Bronx Academy of Arts and Dance. Additionally, wash’d// received early development support from National Black Theatre and a development residency at Double Edge Theatre. The Committee to Empower Voices for Healing and Equity is organizing a creative and artful conversation to envision the future of the now empty pedestal on 103 rd street and 5 th avenue where the statue of J. Marion Sims once stood. What does this future monument mean for the individual, for the community, and for the future? We seek to ground the conversation in historical and emotional understanding of the legacy of Dr. Sims in terms of reproductive justice, health equity, and racial justice and aim to move towards a vision for the future where we have access to care and autonomy over our own bodies. What do we want to see that moves this moment forward? Ultimately, this intergenerational conversation will generate creative expressions – words, drawings, movement – that will be shared with a group of five artists that are finalists for the commission to replace the statue of Dr. Marion Sims. The artists will be given these materials as the source material for their conceptual proposals. Ebony will serve as a core facilitator for the conversation. Join Ebony Noelle Golden and community members for an OPEN REHEARSAL + POTLUCK PICNIC in honor of Black August, a yearly remembering of freedom fighters and radical movements for liberation that have taken place in the month of August. During the event, we will experience excerpts of the ritual, share stories, and food. About 125th & FREEdom: What would Harriet Tubman say if she returned to speak to us today? Would the state of of our society enrage her? Part protest, part parade, part processional, Ebony Noelle Golden's 125th & FREEdom is a durational, ritual performance that venerates the radical legacies of liberation and collective resilence in the face of erasure, injustice, and displacement in Harlem and beyond. www.bettysdaughterarts.com. It takes a community to lift up a performance. 125th & FREEdom is (or has been) generously supported by: The Hemispheric Institute of Performance and Politics at New York University, National Black Theatre, Double Edge Theatre, Betty's Daughter Arts Collaborative, LLC, Angela's Pulse- Dancing While Black Fellowship, and Dance Your Future: Artist and Mentor Collaborative Residency. STAY TUNED... The World Premiere of 125th & FREEdom will be presented by National Black Theatre June 2019. 1. This is a community event. All ages are welcome. 2. Wear comfortable shoes. We will be walking and standing. 3. Hydrate and bring water. 5. This is an immersive + interactive open rehearsal that happens on the street. Come excited to witness and share. 6. We will conclude with a potluck in the park. Bring a drink, a snack, or more, to share. 7. Some spaces may not be fully accessible by wheelchair or walker. 8. Do not let money stop you from joining us. 9. This event will happen rain or shine. Bring an umbrella and/or rain jacket, if necessary. In the event of lightening storm, the event will be canceled and all sales will be refunded. There will not be another open rehearsal if the event is canceled. 10. If you have any specifc questions about the rehearsal, email info@bettysdaughterarts.com. Ebony Noelle Golden has been commissioned by National Black Theatre to create a new performance exploring the legacy of the women of the Student Non Violent Coordinating Committee. The commission will be shared at "Mothers of the Movements ," a celebration of the contribution of Black women pioneers from the Civil Rights and Black Arts movements. "Mothers of the Movements" is a two-part series that will take place in both Harlem-based institutions. Dance Culture Resilience is a skills-sharing creative strategy session focused on the way in which POC dance makers are thriving and building self-determined spaces and practices to further their wellness, artwork, and communities. This session is offered to self-identified People of Color (POC) and seeks to serve as a safer space for Black, Brown, and other POC folks to organize, share and celebrate strategies and tools for solidarity. Participants should come prepared to listen and share. Please bring brochures, resources, recipes for resilience, and business cards. There will be a swap table set up to exchange tools and resources. Let’s build! About the Event: Artists, thinkers, activists, academics, and community leaders gather for a symposium of conversations, performances, and open studios exploring artistic, social, and political perspectives on the extraordinary world-changing events of 1968, the fifty years that followed, and the promise of the next fifty years. Artistic interventions and multi-disciplinary conversations across visual and performing arts, activism, literature, film, and poetry will take place in the historic period rooms—including the Board of Officers Room, Veterans Room, and second-floor Company Rooms. Admission to each conversation or performance is first come, first served. Space is limited. Each season the AoCC at Movement Research invites a member of the community to curate three artists to participate in Movement Research at the Judson Church. The Fall 2017 / Winter 2018 curator is Ebony Noelle Golden, who has curated Audrey Elaine Hailes, Jaimé Yawa Dzandu, and Courtney J. Cook performing on October 16, 30, and November 13. Audrey Elaine Hailes, Jaimé Yawa Dzandu, and Courtney J. Cook make work that is challenging, thick, messy, purposeful, durational, muscular, textured, and requires full-bodied participation from the audience. This is the kind of art we need. Cheers to these bold and necessary artists for making work to challenges the times and sets a vision for emancipation in action. Read the full curatorial vision here. Jaime's work will be featured on October 30th. 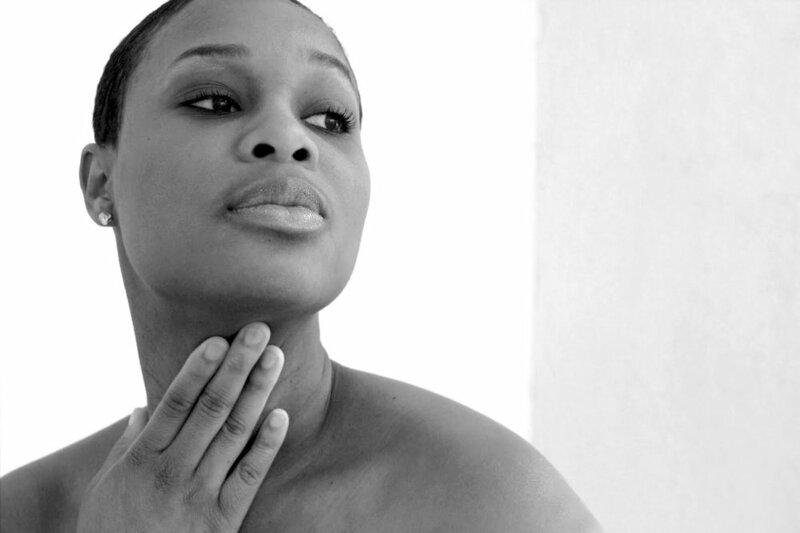 Ebony Noelle Golden will facilitate a workshop and present an evening lecture on creative emancipation and the role of radical black performance traditions in conjuring movements for social transformation. Ebony will be joined by Audrey Hailes and Jaime Dzandu who will perform an excerpt from 125th & Freedom, her current performance project. 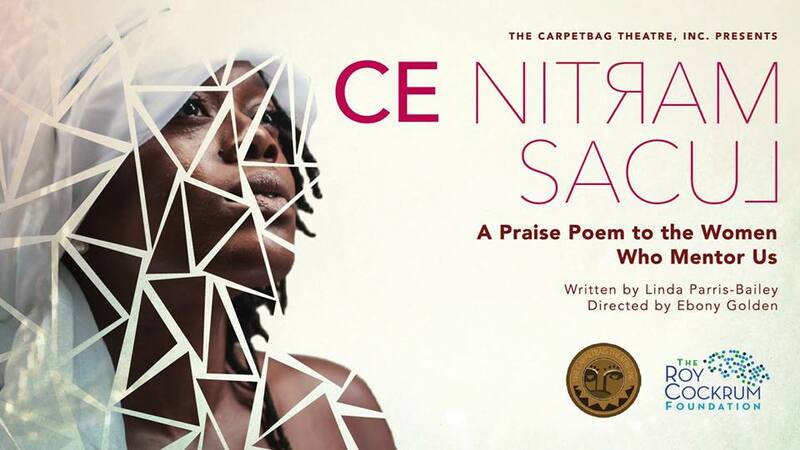 Golden was Invited by Princeton Arts Fellow, Cave Canem Fellow, and performer, Jaamil Olawale Kosoko. BDAC is excited to collaborate with BAAD!, Bronx Academy of Art and Dance, in our city-wide exploration of creative emancipation. 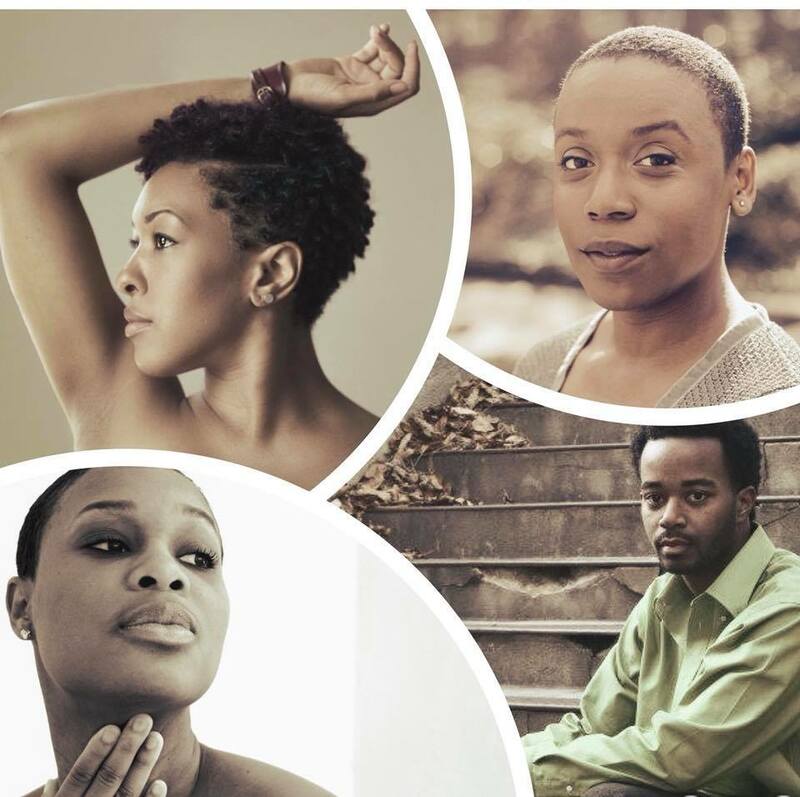 The one-night-only concert features work by BDAC's fall artists-in-residence, Audrey Elaine Hailes, Jaimé Yawa Dzandu, and Courtney J. Cook performing on October 21 as a component of the BlackTinX Performance Festival. The inaugural Brooklyn Conference will take place on October 20 and 21, 2017. Born out of a political moment of profound urgency, the Conference will feature a wide ranging roster of artists, filmmakers, writers, and performers alongside CEOs, nonprofit leaders, activists and elected officials during two days of programming. The first day of the conference, Friday Oct. 20th, will be devoted to keynotes, short dynamic talks, conversations, panels and performances to a live audience at the Museum. We expect an audience of 500, not including our global livestream viewers. The audience will be made up of changemakers, business leaders, writers and artists, community leaders. The Brooklyn Conference is the culminating event of the Museum’s Year of Yes: Reimagining Feminism at the Brooklyn Museum, a year-long initiative in celebration of the tenth anniversary of the Elizabeth A. Sackler Center for Feminist Art. This momentous anniversary project was conceived as a museum-wide, transcultural, cross-collection takeover of exhibitions and programs that question tradition and propose new approaches to study, engagement, and material progress toward equity. Furthering our remarkably progressive history, the conference will examine the ecology of diverse practices and strategies, creating a rich and thought-provoking experience that explores the intersection between art and social justice. Each season the AoCC at Movement Research invites a member of the community to curate three artists to participate in Movement Research at the Judson Church. The Fall 2017 / Winter 2018 curator is Ebony Noelle Golden, who has curated Audrey Elaine Hailes, Jaimé Yawa Dzandu, and Malcolm-X El-Shabazz Betts performing on October 16, 30, and November 13. Audrey Elaine Hailes, Jaimé Yawa Dzandu, and Malcolm-X El-Shabazz Betts make work that is challenging, thick, messy, purposeful, durational, muscular, textured, and requires full-bodied participation from the audience. This is the kind of art we need. Cheers to these bold and necessary artists for making work to challenges the times and sets a vision for emancipation in action. Ebony Noelle Golden has been invited to discuss her current research interests and creative work during a Studies Project panel conversation. She will speak about 125th & Freedom and creative emancipation. Organized by Lily Bo Shapiro and Stanley Gambucci and hosted by the Artists of Color Council, the Studies Project gathers together an intergenerational group of dance makers and performers to discuss their artistic practices and the practical realities that go hand in hand with them. Each bring a range of aesthetic and cultural lineages, career trajectories, and studio practices into the room. This conversation will hold each artist's individual experiences and knowledge of the field up as a crucial, shared resource. Cast Reflections on 125th and Freedom and Public Performance as Ritual Facilitated by Sara Abdullah, Karen Eubanks, and Jehan Roberson. Ebony Noelle Golden's 125th and Freedom is a public performance art project comprised of ten choreopoetic rituals staged along 125th Street between the Harlem and Hudson Rivers. The piece venerates the radical legacies of The Underground Railroad, The Great Migration, and 125th Street to explore migration, gentrification, and creative emancipation in the wake of large scale political, economic, cultural displacement. The performance seeks to collectively source tools and strategies for collective resistance and resilience that can withstand systemic oppression that is inextricably tied to living in a society that values "profit over people". Ebony Noelle Golden will give a lecture on creative emancipation and the role of radical black performance traditions in conjuring movements for social transformation. Golden was Invited by artist and professor, Daniel Alexander Jones.